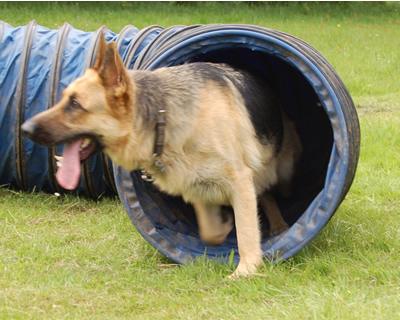 Weather permitting we are also able to run an agility class, while ours is aimed at fun and control our agility instructor can advise you if you get the bug and wish to compete in the sport. Adult dog agility runs from 10:00am until 10:45am, as well as having fun you will be taught how to control your dog over the obstacles and how to give changes of direction. Puppy agility runs from 10:45am to 11:30am, all the obstacles are flat on the ground or very low, stepping height more than jumping height, there is nothing that will damage young dogs joints. 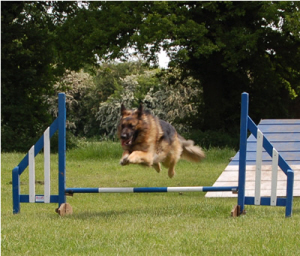 As well as being fun for you and your pup it helps to build your dogs confidence.